IC 1396 is a giant emission nebula that is over 3 degrees in diameter. It is illuminated by a hot, massive O-type star (HD 206267) near its center. The star is not visible in this image- it is off of the top edge. 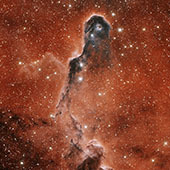 This image is of IC 1396A, a dark, dense cloud of gas embedded in the nebula. 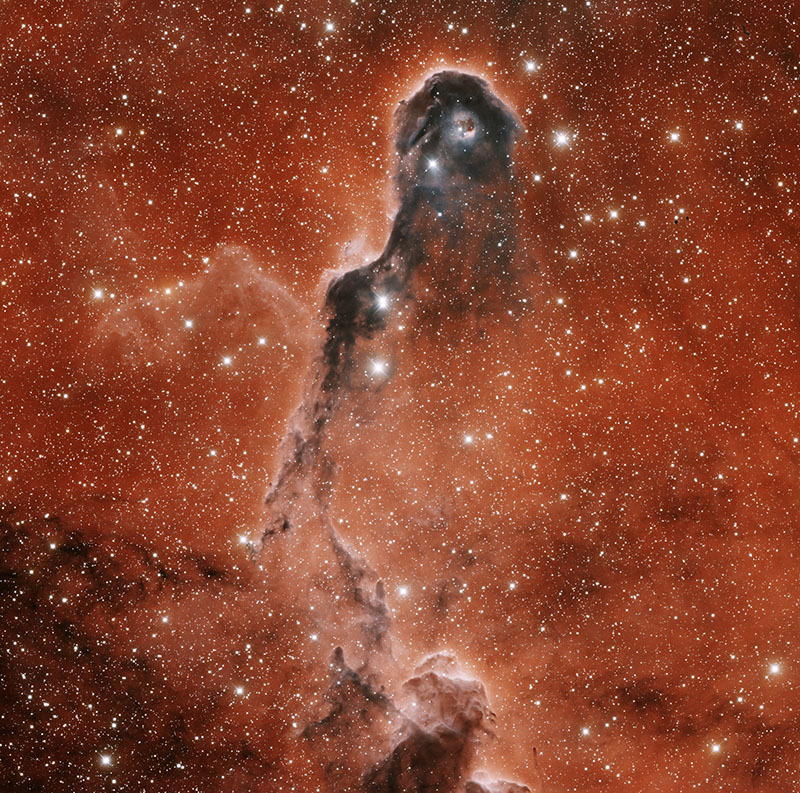 It is informally known as the 'Elephant Trunk Nebula' because of its distinctive shape. Images of other parts of IC 1396 are also available on this website.